Seapines 3 bd / 2ba, WIFI, biciclette gratuite, animali domestici, 5 minuti a piedi dalla spiaggia! La configurazione della camera da letto è un King in the Master, King in Bedroom 2 e un set di letti a castello nella camera 3. 5 minuti a piedi dal club Seapines Beach, le biciclette sono incluse in questo noleggio così come il tennis gratuito PLUS 1/2 PICKLE PRICE PICKLE al club South Beach Racquet. Due aree salotto separate con TV in ogni. Questa è una posizione molto centrale - 3/4 miglia a Harbour Town e 1 1/2 miglia a South Beach Village, dove gli ospiti possono trovare la piscina della comunità e il famoso Salty Dog Cafe. Goditi le centinaia di chilometri di piste ciclabili a Sea Pines con le biciclette gratuite o rilassati al Beach Club. Cucina completamente attrezzata Tutte le lenzuola fornite compresi teli mare. Sono inoltre disponibili sedie a sdraio. Beautiful property, great location and very helpful owner. We had a wonderful time at Sea Pines and thoroughly enjoyed our beautiful unit #6 at 9 Light house Road! It was well equipped, nicely laid out, well lighted with sunlight and extremely comfortable. Our hosts Jessica and Scott were outstanding in every respect. 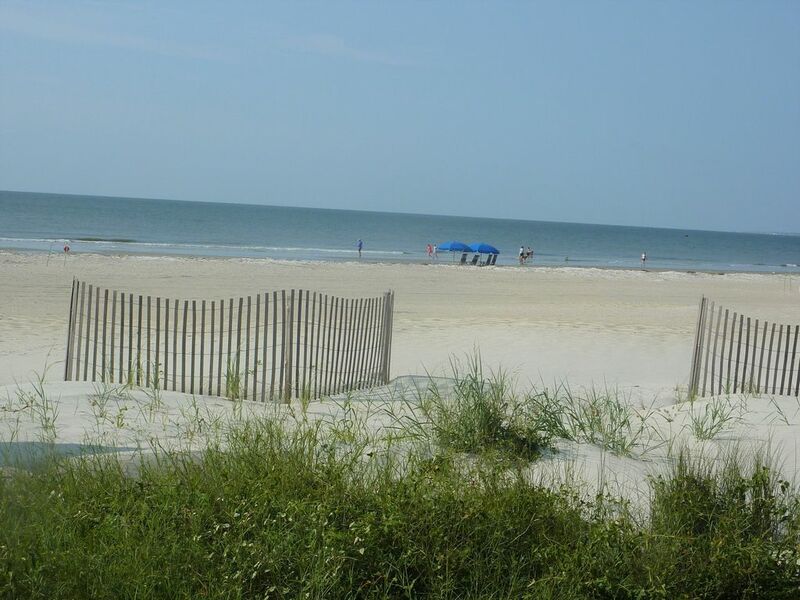 We would certainly come back here if our plans call for Hilton Head Island vacation especially with a pet. I would certainly recommend this place to our friends. The location is very convenient with easy access to beach, restaurants etc The villa was very spacious, cozy, warm and pleasant. Entertainment system with access to cable TV and movies are a big plus although we were too busy going around the island and enjoying the beautiful beaches. We congratulate the owners Jessica and Scott for their commitment to make sure that guests enjoy their stay! The facility and the spaces around was very clean , pet friendly and naturally appealing! We applaud the team that work for the owners! Very cozy pet-friendly rental located very close to Sea Pines beach club. We enjoyed our stay. The highlight for us was the back room on the first floor. We had a beautiful view of the lagoon and golf course. We had a few snafus with the cable and HVAC but Scott was quick to resolve those problems. We highly recommend this rental. Beautiful property with all the amenities of home. Our family of 6 had a wonderful visit. Lots of room for everyone. Great location, beautiful view, lovely decor, comfy furniture...all we could ask for in a rental to make our vacation fabulous. Full kitchen, laundry on site, 2 bikes included with a bike rental shop right across the street if you need more, short walk/ride to the beach, and a cozy patio to enjoy your morning coffee. We will definitely be planning a return visit! This was our second visit to Hilton Head, and this one was so much better than our first! Jessica's home is just lovely, and so comfortable! The kitchen is well-stocked, and the bikes are a great addition. We used them every day. The beds were so comfortable, and the pillows were just right! I suffer from neck pain, and when I don't have my own pillow I often wake up in pain. Not this time. The pillows were very comfortable, and I enjoyed a pain-free vacation! The next time we visit HH, we'll be contacting Jessica.